Sports offer people of all ages the chance to have fun, stay active, and enjoy being a part of a team. If you’re new to the world of sports, there are a number to choose from, so you’re sure to find something that appeals to you. In the United States, the most popular sports are basketball, football, baseball, hockey and soccer but there are many other lesser-known sports that are played around the country. Each individual sport comes with its own rules that govern play and the number of players required to form a team varies depending on which sport you choose. If you want to learn to play a sport, the following information can help you to get started. The first thing you need to do is choose which sport you want to play. If you don’t have anything in mind from the get-go, make a list of all of the sports that appeal to you. In order to make your decision, you might need to take into consideration certain criteria. Firstly, what is your current skill level? If you have never played before, you might need to take lessons or learn the rules of the game. Joining a team right away is a great way to throw yourself into the game but make sure that there is a team for people of your skill level. Secondly, how much does it cost to join a team? You might be surprised at the costs associated with joining a league. 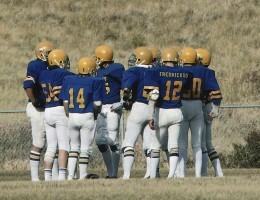 Teams usually have to cover the costs of renting a playing area, such as a field or ice rink. The cost might factor into your decision. Finally, you might need gear to either practice or play the sport. 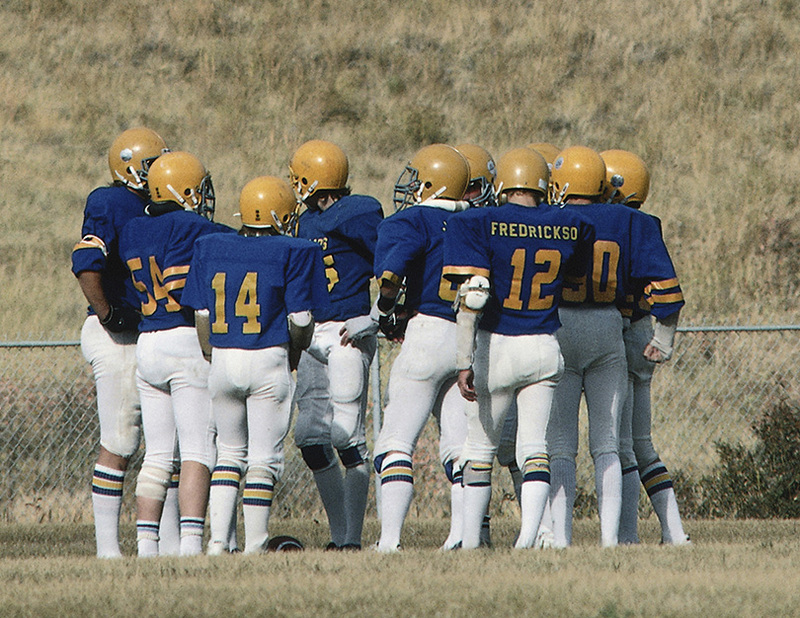 Some sports, such as football, require equipment to prevent you from getting hurt. A helmet, such as one of Riddell’s Varsity Football Helmets can help to protect your head and face. Some sports, particularly soccer, require special shoes, such as a pair of cleats from Nike’s line. And even if you don’t necessarily need your own ball to partake in the action, you might want to consider purchasing one for when you want to practice on your own. 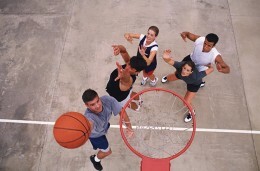 Once you’ve chosen your sport, the next step is to start attending team practices and games. If you’ve never played the sport before, you might have difficulty trying to compete with players of a higher skill level. If you feel discouraged by your own ability, you might want to consider taking some additional skills courses or working with a trainer to improve. Remember that everyone has to start somewhere and although some people are born with talent, it’s not realistic to expect to become a superstar overnight. The more you practice, the more payoff you can expect when it comes to your game. Keep in mind when you’re playing that it’s only a game. Unless you’re playing at a very high level, which is unlikely if sports are just your hobby, it’s not worth getting upset over games. It’s great to feel that competitive edge, but being a sore loser or playing unfairly is not what sports are about. Instead, focus on fostering bonds with your teammates and enjoying all of the fresh air and exercise. You have a lot to gain from joining a sports team. For one, sports are a great way to improve your physical health. Regular physical activity increases your muscle strength and improves your endurance. You can gain flexibility and agility. 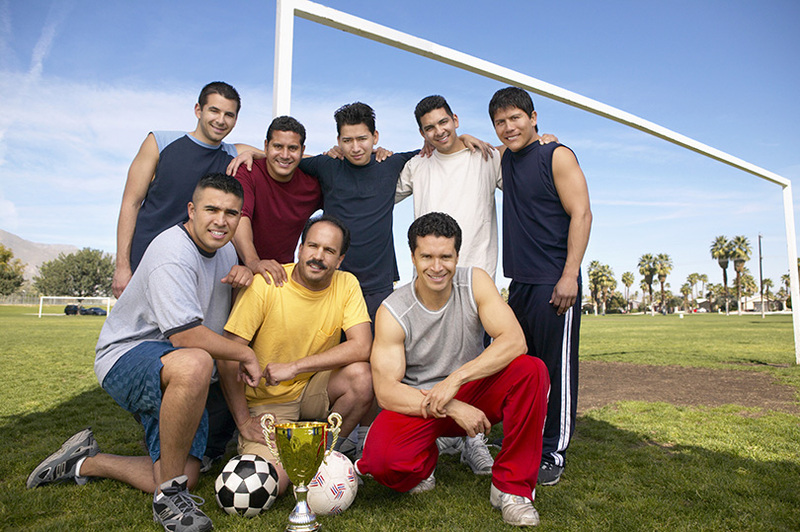 If you want to lose weight, team sports can help you to achieve that goal in conjunction with a healthy diet. Most people choose to play sports because they are much more fun than simply running on a treadmill or doing sit-ups. Sports also offer an array of mental health benefits that you might not expect. Channeling your energy into a game is a healthy way to deal with emotions and stress. You also gain important skills, such as the ability to feel pride in your accomplishments. There is nothing like the feeling of knowing you put in 110% after a game, even if you lost in the end. As a member of a team, you also have the opportunity to develop as a leader or improve your ability to cooperate and work with others. Finally, one of the greatest advantages of being on the team is the sense of camaraderie you will share with your teammates. Whether you already knew the players on your team or you were strangers before you joined, you are sure to become friends.